Lil' Red Rocket: Give away time!!!! OK who's ready for a give away? Ive put together this cute and colourful pack for one lucky winner. But there is a catch. To be in with a chance to win this fun prize you will need to blog about it or share it on Face book. Do both and you ll get 2 entries into the draw. Just copy and paste this picture and a link back here to the blog then come back and let me know whether you have blogged, facebooked or both. Id really love it if youd become a follower too. I will be announcing the winner on the next sale night. Friday April 15th 7pm EST. MMMMMMMy my.... love those buttons to bitz!!!!! I posted it on my blog and facebook. Your stuff is so gorgeous, who wouldn't! Fantastic giveaway, I am in love with owls and frogs. 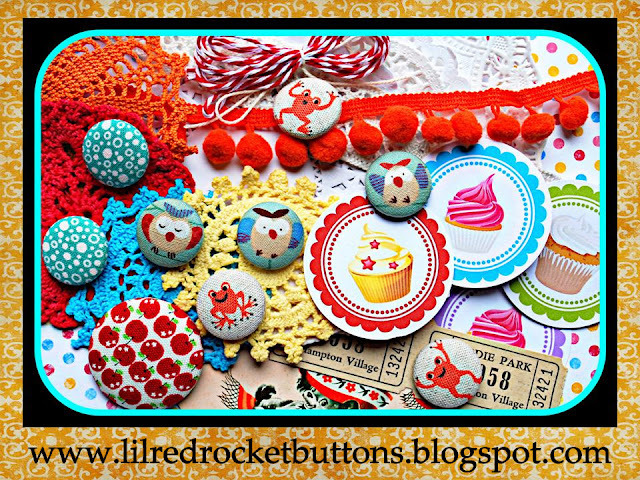 I have blogged here - http://saras-scrapping-days.blogspot.com/2011/03/lil-red-rocket-give-away.html And also posted to my facebook page - Sara Noendeng. Thanks for the opportunity to win. on my blog and facebook..
love all your gorgeous "delishiness" here! http://www.myscrapnaddiction.wordpress.com and also on my facebook page and I am now a follower! These are just gorgeous so thanks for giving us the opportunity to win them. I am already a follower of your blog....love it!!!!! Oh wow it looks gorgeous. Have posted it on my blog. Can't wait for the 15th! Shared on FB! Have lots of friends that scrap! Thanks for the chance to win! Gorgeous giveaway! I have blogged and as it is networked, it will also appear on facebook shortly. OK, so now I have just "liked" you on facebook and added a link from my status!!! Yay!! I've placed your giveaway on my blog in the sidebar! Thanks! Gorgeous giveaway. Have posted on my blog and am a follower. Very nice giveaway! I am a follower, and I posted your candy in my sidebar :) Thanks! Wow such a cool colourful prize!!! I have shared on on FB. Such an awesome prize. I am already a follower and have posted it on my blog. Love the blog! 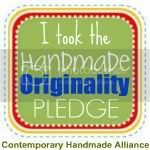 I am a new follower, and posted your giveaway on my blog's sidebar!!! Cuuuuuute! Your stuff is amazing, love it so much - I need to get my hands on it! This is a really nice giveaway!!!! Here is the post in my blog! So many pretty things... I'm out that night, so I hope I don't miss out lol I've blogged and facebooked!!! aww how cute are those bits and bobs!! i posted a link and a pic onto my facebook i hope if gives u a few more fans!! im going to follow now! Found you thru a friends blog :) I just became a follower and OMGsh I loveeeeeeee all of that yummy color!!! I posted your giveawayon my blog.....thanks for a chance to win! I've FB-ed :) thanks for the generous giveaway. Can't wait for the sale either!!! Well thaks to a firend I fofund your blog very exciting stuff, I have also facebooked you and became a follower so I am looking forward to seeing more. I've done facebook and my blog. Wow I love your stuff... I have FBed!!! WOW!!! thx for the opportunity to enter this giveaway. I've only just discovered you.....TOTALLY luv ur stuff! have shared it on facebook. i shared the link on facebook!!!! Hi Michelle, we have put it on our blog too..
and we have facebooked it as well..
Loving everything on the site at the moment.. I am sharing this in the hope that I will be named a winner - how exciting...!!! Just blogged about the giveaway. Can't wait til tonight's sale! !